Gerd Müller is undeniably one of the greatest strikers to grace both German and international football. Nicknamed "Der bomber", Gerd was especially famous for his fascinating ability to turn at lightning sped while handling the ball, not to mention his impeccable score sheet. 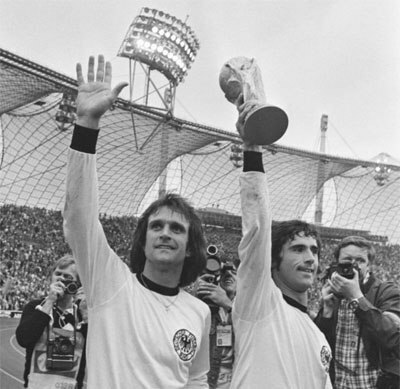 Gerd Müller (to the right) and Bert Verhoeff after winning 1974 World Cup. Gerhard Müller was born on November 3, 1945, in Nördlingen, Germany. The names of his parents are unknown and there are few known facts about his early life. In the beginning, Gerd Müller played for his boyhood team where he bagged 52 goals in the 5th division. He continued displaying his exceptional football skills as schoolboy footballer, when he netted 180 goals(!) in one season (1963-64) for the youth division of the TSV 1861 Nördlingen club. This achievement did not go unnoticed as the soccer powerhouses of the time, Bayern Munich and TSV 1860 Munich, both wanted to sign him. He decided against joining 1860 Munich because it had many superstars in the team. Instead he chose Bayern Munich as a strategic move to secure a spot in the team’s starting 11. He joined Bayern in 1964. At the time, the team was languishing in the second division. In his first season at Bayern, Gerd scored 33 goals for his team and helped elevate it into the Bundesliga in 1965. With Müller in the team, Bayern Munich captured the German Cup in its first season. The team later won the Cup three more times (1967, 1969, and 1971) during Müller’s tenure. Bayern also won the Bundesliga title 4 times in the 1968–69, 1971–72, 1972–73, and 1973–74 seasons. Müller did 365 goals in 427 Bundesliga matches, still a record that will be hard to beat. On October 12, 1966, Gerd debuted for the West German national Team in a match against Turkey. In West Germany’s second game, against Albania, he bagged 4 goals. Gerd’s fantastic performance in the 1970 World Cup earned him the title of Europe’s Player of the Year. He was also the top scorer in the competition. 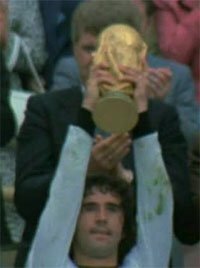 His winning streak would culminate as he helped his national team to win the 1972 European Championship, and the 1974 World Cup, where he scored the winning goal against Netherlands in the finals where West Germany won 2-1. He played for the German national team in two FIFA World Cups and two UEFA European Championships. Gerd Müller scored in total 68 times in 62 matches for his national team (only Miroslav Klose have done more goals). In a rather unexpected twist of events, Gerd terminated his national team career at the young age of 28 years. One argues that one reason to Müllers success as a goalscorer was his Low centre of gravity which made him able to receive the ball with his back against the goal and when turn around with great pace and without losing balance. Gerd Müller stayed on at Bayern Munich and won two more consecutive European Cups. Contract disputes and internal club wrangles saw Muller exit Bayern presumably by force. He proceeded to America where he played for Fort Lauderdale. He still maintained his top form and performance in the club, played until 1981, and then retired from professional football. By the time Gerd was retiring, he had scored 68 goals on 62 international matches. This translated to an average of 1.1 goals per contest, a very remarkable record. In 1970, Gerd became the first German to earn the prestigious European Footballer of the Year award. He was also named West German Footballer of the Year in 1967, and 1969. During his 14-year stay at Bayern Munich, Müller helped his team secure three UEFA Champions League titles, four Bundesliga titles and four German Cups. The team also won the European Cup Winners' Cup and one Intercontinental Cup. During the same 14-year stint, Gerd scored a total of 566 goals in 607 appearances. 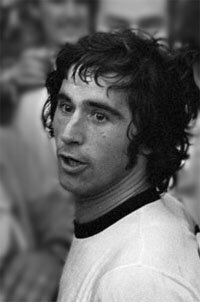 One of Gerd's greatest achievements was setting a record for the highest number of goals in a calender year, when he scored 85 goals in all competitions, in 1972. He held onto the record for 40 years before Lionel Messi broke it in 2012 when he scored 92 goals. Gerd’s somewhat premature exit from both club and international football saw him develop depression, which steered him into alcoholism and financial problems. After years of being an alcoholic, Gerd’s former Bayern compatriots, Rummenigge, Hoeness, and Beckenbauer helped him get into rehabilitation. After rehab, Müller secured a coaching license in 1991 where he proceeded to work as an assistance coach with some of Bayern Munich’s youth teams. In 2015 it became known that Muller was suffering from Alzheimer’s disease.